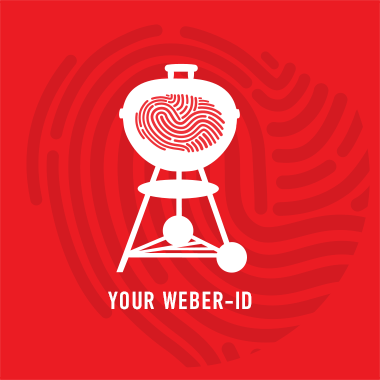 A water smoker can maintain temperatures between 225° and 250°F for several hours, which is just what you need to break down the connective tissue in pork shoulder roasts. 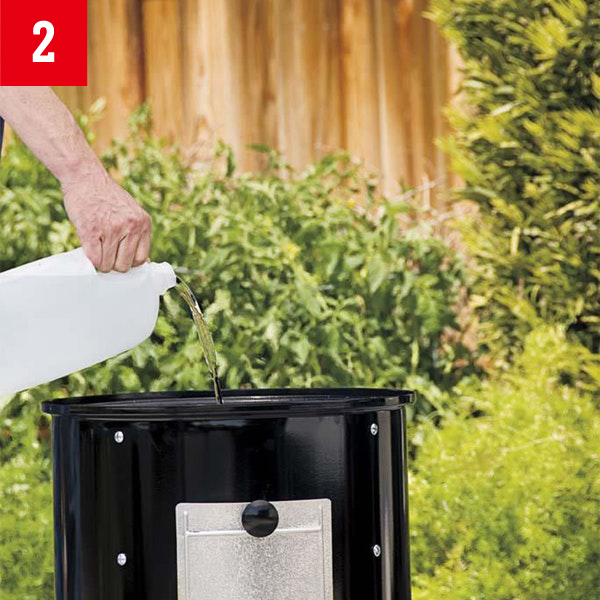 Fill the water pan in the middle section of the smoker. 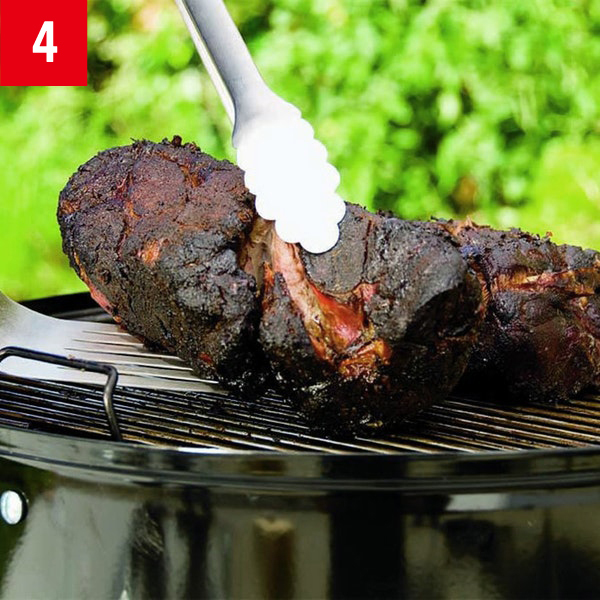 It will absorb some of the charcoal’s heat and release it slowly with some humidity. 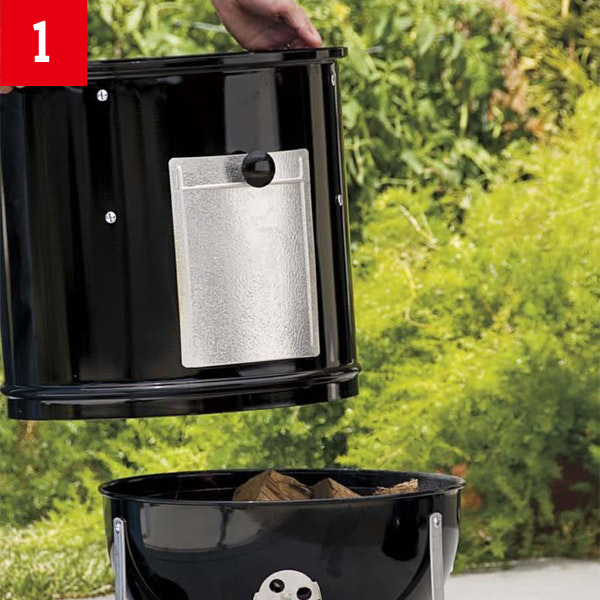 Smoke the roasts over indirect low heat, with the lid closed, adding a handful of drained wood chips to the coals every hour for the first 3 hours. 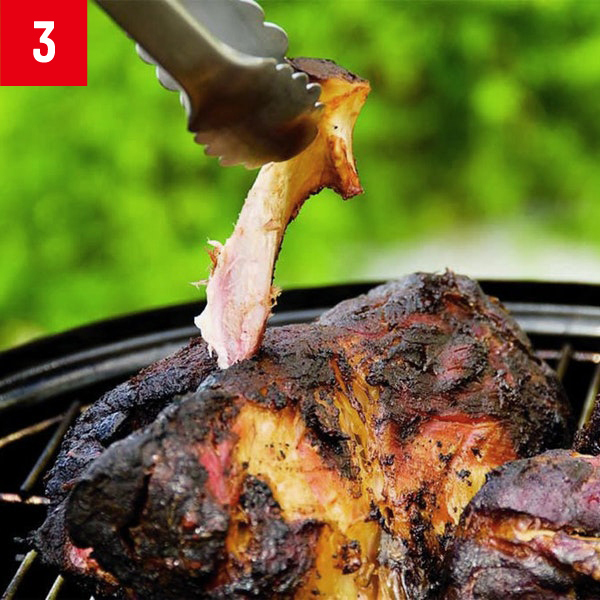 After 8 to 10 hours of barbecuing, the meat will be so tender that you will be able to slide the bone out cleanly (the internal temperature should be 190°F). Ideally you will need both a spatula and a pair of tongs to remove the roasts from the smoker without the meat falling apart. Tightly cover the roasts with aluminum foil and let rest for 30 minutes. 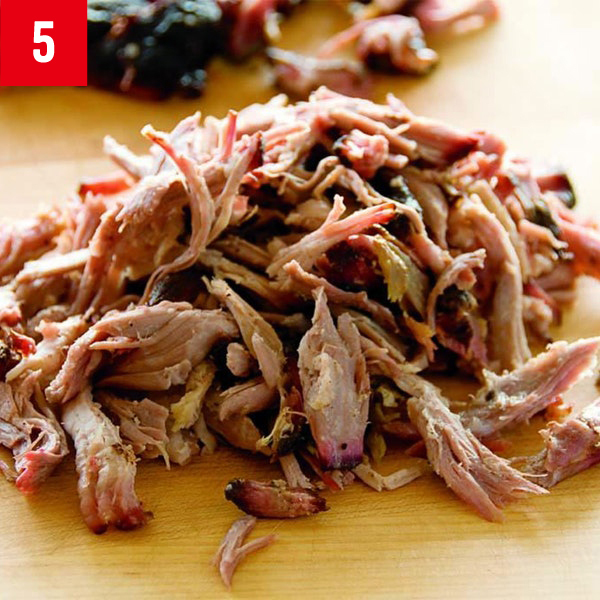 Shred the meat with your fingers or two forks. 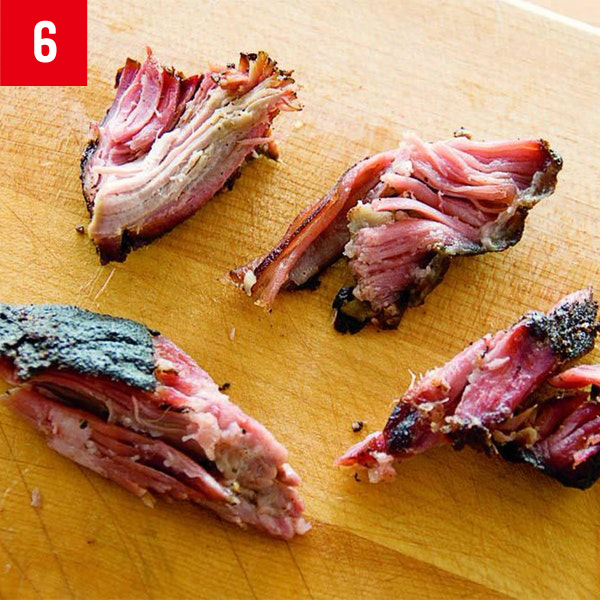 Discard any clumps of fat, but hold onto the crispy bits of “bark” that have developed on the outside of the meat. The pinkish color of the meat is a good sign that smoke has penetrated the surface and filled the pork with authentic barbecue flavor.